Few things bring as much wonderment and awe to children as the miracle of flight. For kids with autism though, experiencing this miracle is often difficult due to their sensitivities to noise, large groups and the unknown. 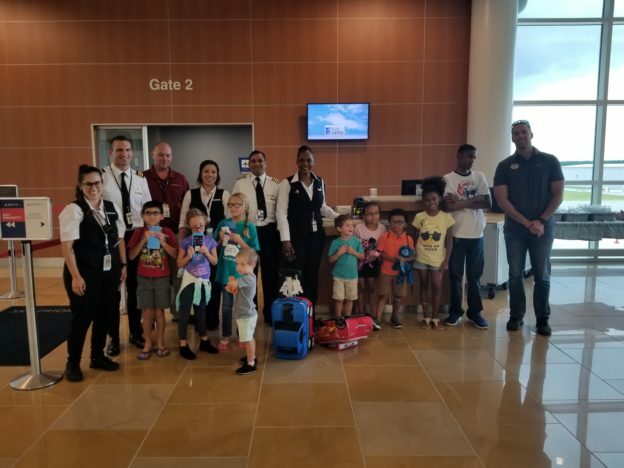 That’s where a SkyWest crew recently stepped in to help a group of these children have the opportunity to experience flight in safe, non-stressful environment in Jacksonville, North Carolina (OAJ). The event was one that all those involved with will not soon forget. 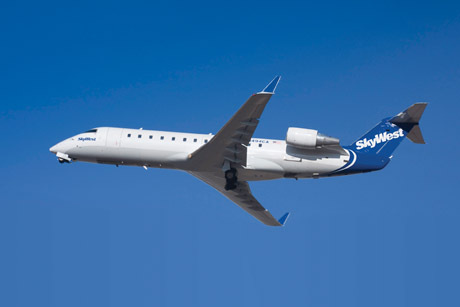 Together with Delta Global Services (DGS), OAJ Airport and the Exceptional Family Member Program, SkyWest crewmembers welcomed children with autism from military families on board a CRJ200, allowing these children an opportunity to participate in a flight rehearsal. While never actually leaving the ground, the crew pulled out all the stops to ensure it was a day the kids would remember forever. Prior to boarding, the children were given wings and boarding passes with airport code “FUN” being their final destination. With a sense of eagerness mixed with nervousness, the children boarded the aircraft with family members. They were met on board by the captain of the flight, Atlanta CRJ Captain Princy Lala – a former Marine who jumped at the chance to be part of the event. After making the standard opening announcements, Captain Lala told the children they would be flying into “FUN” at an altitude of sea-level. 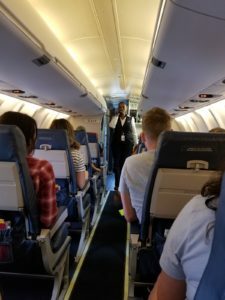 After his remarks came the safety briefing from Flight Attendant Stephanie Clausel, and then full-service drinks and snacks were provided, including a pizza provided by the crew. During this time, Captain Lala and First Officer Sam Anderson were busy playing the children’s favorite songs from the intercom. One by one, each child was called into the flight deck to be an honorary pilot, sit in the right-seat, take pictures and, of course, page their parents on the intercom. “It was an amazing, amazing, amazing thing,” said Captain Lala, who heard child after child say they now wanted to be a pilot just like him. Thank you to the crew who volunteered their time and expertise to share their love of flying and provide these families with memories that will last a lifetime! Learn more about joining the SkyWest team.